Mac Malware Brouhaha: Are Apple Users No Longer Safe? Mac users don't have to worry about malware, right? Well, for many years that's been true, although the reasons were always the topic of contentious debate between the Apple faithful and various security researchers, many of whom predicted Mac security breaches would rise as Apple's share of the PC market climbed northward. A new report suggests this may be happening now. ZDNet blogger Ed Bott reported Wednesday that a malicious app called MAC Defender (among various aliases) is afflicting more Mac users than previously thought. In the first of two Wednesday posts, Bott includes a transcript of a phone interview he conducted with an unnamed AppleCare support representative, who claims that "many, many people" are falling for the MAC Defender attack. AppleCare's call volume is four to five times higher than normal, the source says, and the majority of the calls are related to the malware outbreak. In a second post, Bott posts several MAC Defender-related user complaints that he culled from the Apple support forums yesterday. "I found more than 200 separate discussion threads, many of them from people who have been tricked into installing this software and are desperately trying to remove it," writes Bott. 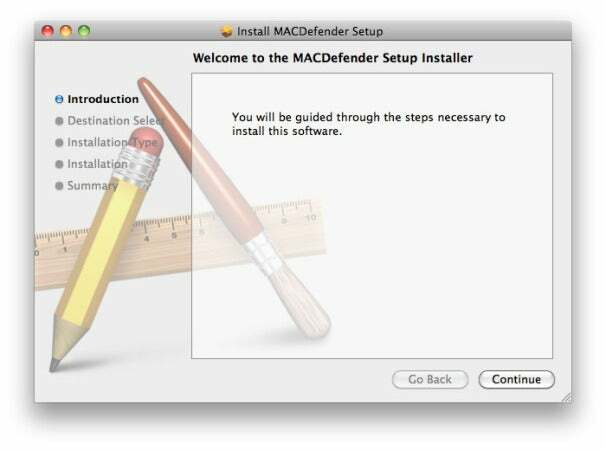 MAC Defender is a fake antivirus program that targets Mac users, according to Intego's Mac Security Blog. Like nearly all malware attacks, it preys on novices. Intego lists MAC Defender as a "low" risk--a virus that exists in the wild, but is not widespread at this time. Bott's investigative work, however, suggests that many unsuspecting Mac users have already fallen for this bit of malware trickery. Perhaps more troubling is the alleged Apple rep's statement that AppleCare's Terms of Service doesn't allow support staffers to help with malware removal. Most of the AppleCare reps do anyway--with the tacit approval of their immediate supervisors--but could "face write-ups and even termination" if they're caught, the rep says. The easy solution, of course, is for Mac users to install (real) antivirus software. And if Mac malware attacks grow in frequency, it wouldn't be surprising if Apple adds antivirus protection to the Mac OS.